Drama and comedy provide unique opportunities to tell New Zealand stories creatively. We are a key funder of drama and comedy in New Zealand. The Broadcasting Act gives special emphasis to drama as an appealing way to reflect and develop New Zealand culture and identity. "Local drama holds the mirror up to us and shows us where we are..."
Drama and comedy are high-risk genres because of their production complexity, cost, and heavy international competition. We fund high-quality local drama for adults and children, innovative webseries, quirky animation, and many types of comedy. In September 2017 we brought together 130 members of our industry to discuss the future of local drama and comedy. Amid a backdrop of changing viewing habits by audiences, we wanted to work with the industry to come up with solutions for drama that audiences will love. As a result of those conversations we developed our Scripted Roadmap. You can check out a range of recent drama and comedy we've funded over on our Watch and Listen page. 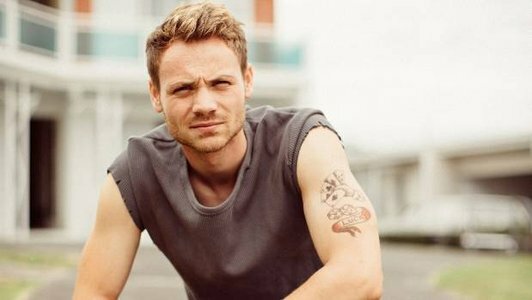 From the award-winning creators of Outrageous Fortune, Westside is a drama series that takes the West family's large and loyal fan-base on a journey back to where it all began. Westside is a significant investment by NZ On Air in outstanding local drama heading into its fourth season in 2018. Outrageous Fortune co-creators James Griffin and Rachel Lang are the talent behind this classic drama that combines real events and the rich folklore of the West family and associates. We've been funding Westside since 2014. The fourth series received funding of $7,710,000. Check out more local drama series we have invested in on our Watch and Listen - Drama page. From the minds of Taika Waititi and Jemaine Clement comes a What We Do In The Shadows spinoff with serious bite. 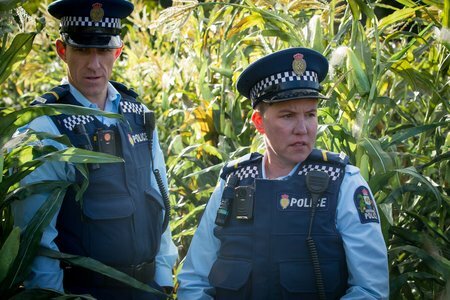 Wellington Paranormal is a mockumentary series set in New Zealand's capital that follows the misadventures of police officers O'Leary and Minogue as they battle with the city's forces of supernatural darkness. $1,457,273 from NZ On Air. Check out more local comedy series we have invested in on our Watch and Listen - Comedy page. Murder lurks in even the most homely location - or so Detective Inspector Mike Shepherd discovers. 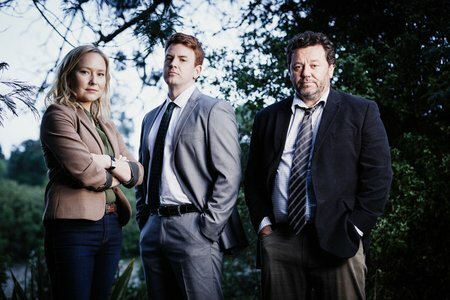 The Brokenwood population continues to decline as the popular Murder Mystery drama prepares for a fifth season. South Pacific Pictures has crafted another four two-hour stand-alone murder mysteries set in a seemingly quiet country town. We've been funding The Brokenwood Mysteries since 2013. The fourth series received funding of $3,636,000.